I took a little time to play this morning when I was getting ready for a Book-Play workshop for a women's church group retreat on Cape Cod tomorrow morning. This is made from 2 hot dog booklets. 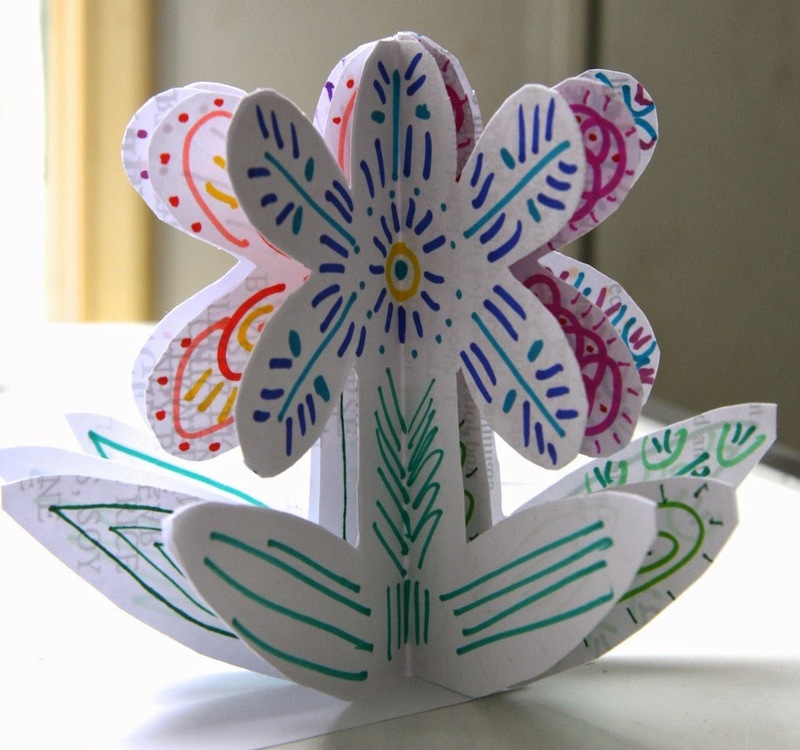 The secret is that the pages must be glued together before cutting into the flower shape. Make a hot dog booklet. Open it up so that you have a full sheet of paper again. Cover the entire surface with glue (glue stick is recommended). Making sure that the pages realign properly, fold the book back up. Cut it into the flower shape. Make a second hot dog booklet. Matching up the spines, glue the shaped book to the uncut one. Cut around the shape to finish the book.